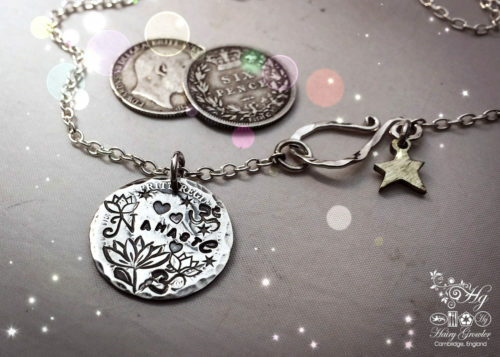 Lucky sixpence coin jewellery – Handcrafted and recycled ‘out of circulation’ sixpence coins. These lovely little lucky charms are a great gift for yourself or anyone you know who was born in 1940’s, 1950’s and 1960’s. 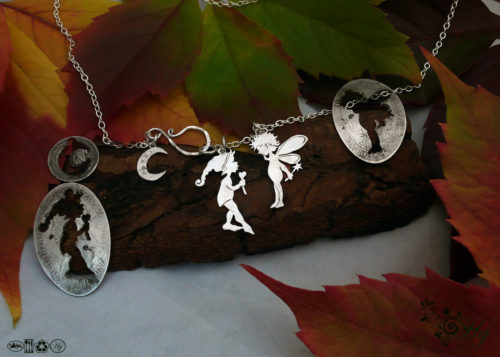 Each one is handcrafted from a genuine sixpence. 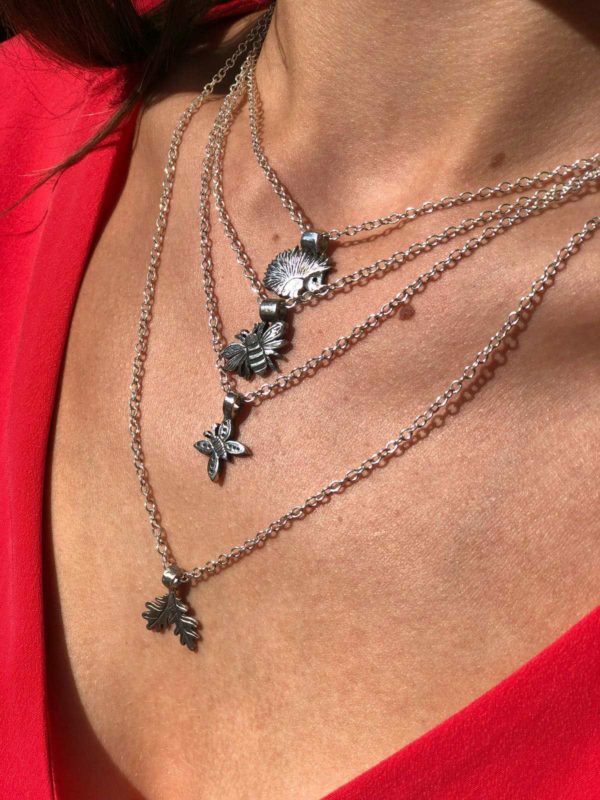 The lucky four leaf clover is hand cut with a traditional jewellers saw. The gorgeous ‘antique’ patina finish is completely natural and original. Check out the drop down menu for a list of currently available years. 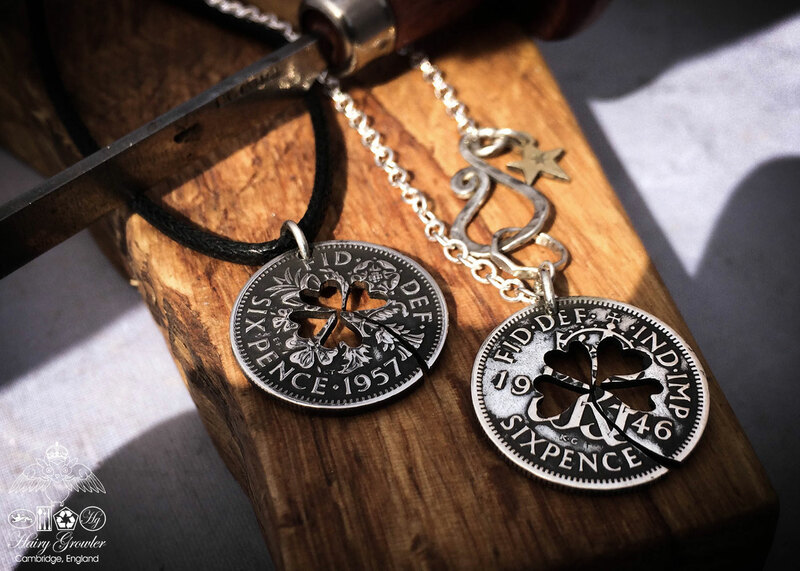 You are also welcome to choose the lucky sixpence as a keepsake lucky token to be carried in a purse or wallet. If this option is cozen the design will be created without the necklace loop so it sits flat in a pocket or purse. 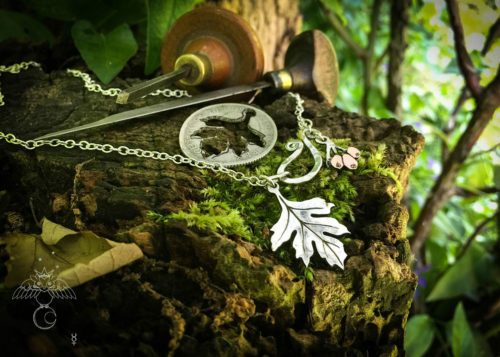 If you decide upon a silver chain you are also welcome to choose a little charm to hang from the hand wrought silver ‘hairy growler’ safety hook. 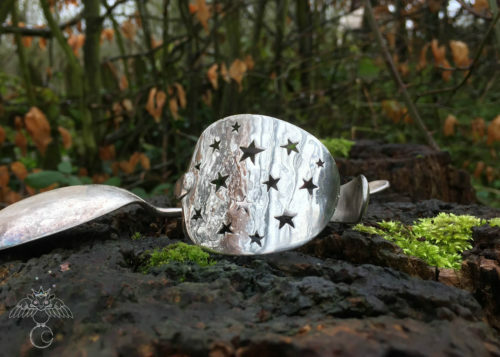 These are also 100 % hand made and recycled from silver, bronze and copper coins. This is a beautiful piece! Love all your work! I love my necklace and keep it on all the time. It has been admired so many times! Thank you! 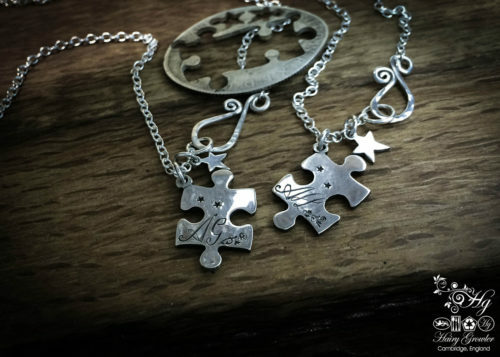 Bought as a lucky gift for my mother…now a treasured necklace. thoughtful gift from my daughter. its gorgeous. a conversation piece wherever i go..
i love my lucky sixpence necklace. i believe its bringing me luck and everyone who sees it on me asks about it and where i got it. its well made and i can wear it anywhere. i love mine. This is so cute and you do such fine crafting. I really like your work. Its a beautiful thing! I love it! I bought it as a gift and needed it at the rush. Hairy Growler responded with lighting efficiency and it was with me within 3 days! I will definitely be shopping here again. Thank you Hairy Growler! Gorgeous piece of jewellery, very happy, thank you!! Bought as a gift for a friend who’s birth year was matched by the sixpence – so as well as being delighted with the present and it’s quality, she was very touched at the extra detail of it being from her birth year. I am very pleased at the service and will use HG again and again. 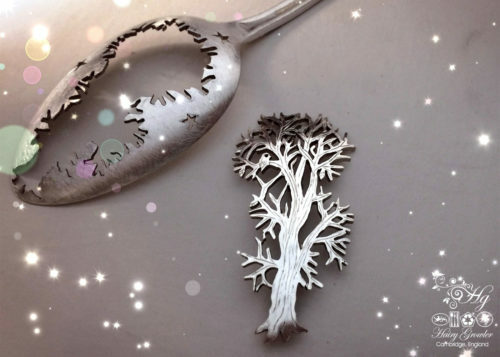 This is absolutely beautiful, I’ve bought it as a Christmas present for my daughter and I’m almost tempted not to give it to her!! I will definitely be dropping hints to my husband to buy me something from Hairy Growler! Communication was great – I was told when my ordered would probably arrive, when it was dispatched and how to track it. It arrived less than a week after I ordered and is packaged beautifully, thankyou so much! A really pretty unique and meaningful token. If you’re stuck for something to buy this fits the bill in so many ways. Thank you, my mum has wanted a piece of your jewellery for ages and she was thrilled with her lucky six pence. Hopefully it’ll bring her luck in her new business venture! My friend loved her sixpence necklace. It came beautifully packaged and exactly as pictured . I bought this for a niece sitting exams and chose a sixpence from a significant year. I was very pleased when it arrived – a lovely, quirky, vintage gift and I know she is wearing it. 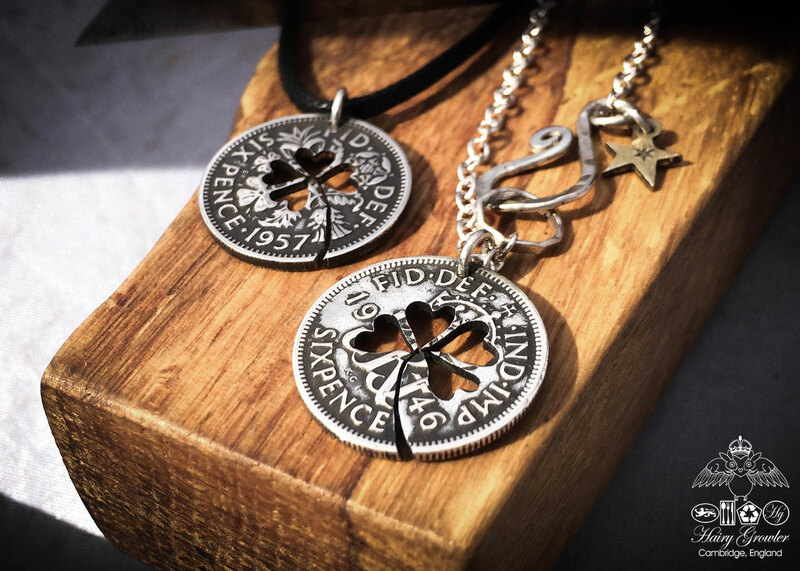 I bought the sixpence necklace as a gift for a friend who has recently been diagnosed with cancer as a small token for her during her treatment and because I felt rather impotent in being able to help. Well she was delighted with the beautiful piece which is her year of birth. So many things said in a simple gift. She is wearing it the whole time and says it is her talisman. Thank you Hairy Growler! An amazing coin and a very personal gift due to being able to choose the age of it exactly what I w anted ! Perfect item. Beautiful. Would reccomend and buy again. It was a present for a friend and she absolutely loved it. So pretty, delicate and authentic. 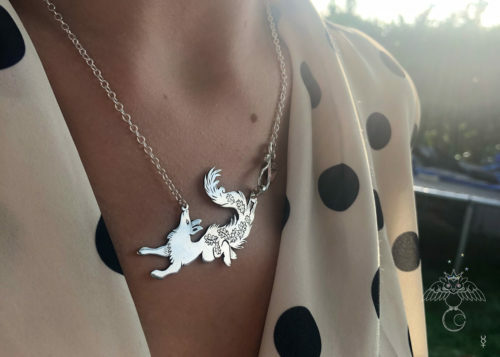 My girlfriend loves her lucky sixpence necklace and wears it most days. No evidence, yet, of it actually bringing her good fortune, she is still living with me, for a start! Bought for my husband as a Christmas present. 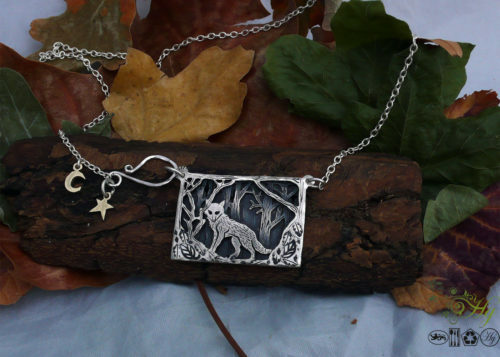 He reports that it great, just the right size, light around his neck although he has swapped the black lace for a silver chain. Just waiting to win the lottery now ! 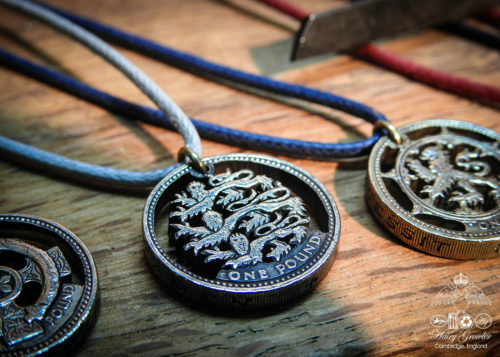 Fantastic necklace and the personalisation of not just the year on the sixpence, but the adaptation of it makes this something special. 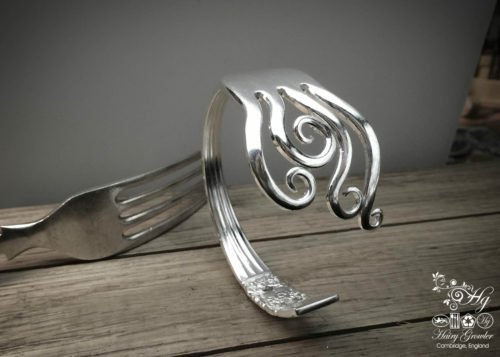 Purchased as a gift and I know that the recipient will love it. I bought this for myself … but I am not opening it until my Birthday. I am desperate to, having looked at the one I bought my mother. I know I will love it. I’ve always thought sixpences were a beautiful coin. I remember them from my childhood. So pleased to be able to get one for my birth year. 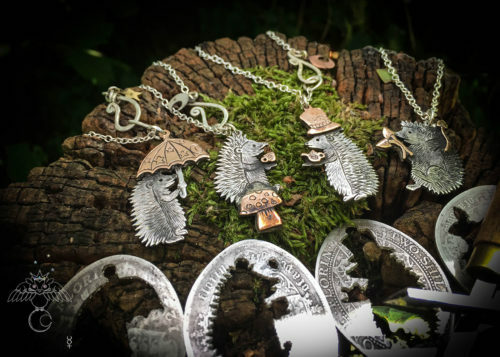 Treat yourself to something if you can, the Hairy Growler makes magnificent pieces. My boyfriend has been searching for a new pendant and he absolutely loves it. 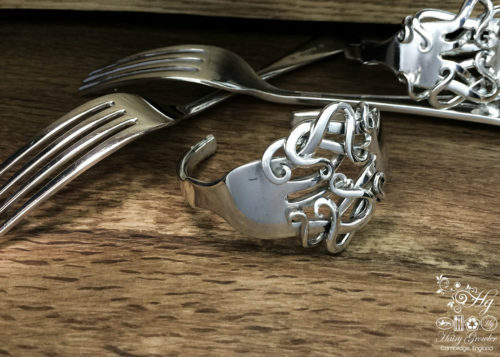 It’s lovely and unique and looks excellent when being worn. This is a well crafted momento. I purchased one of these for my friends 60th. She is very pleased with the sixpence and I am thrilled that you were able to craft such a lovely little trinket/keepsake. I am saving up to get something special for me next….just too many lovely things to choose from. Bought this necklace as a gift for a friend but am a little jealous and am considering keeping it for myself- I’m such a bad person! Have now enquired for Hairy Growler to make our wedding bands; fingers crossed and watch this space!